Come by Island Mazda near Freehold, NJ to experience the innovative 2018 Mazda3 5-Door. When Mazda designed the Mazda3 cabin, they did it with the driver in mind—each step of the way. They considered every detail that could make the driving experience better, from the seats, center console, full-color Active Driving Display, and instrument panel, down to the door pockets and handles. The goal was to create a more sophisticated, intuitive interior that revolves around the driver. Every detail of the interior was designed to make driving better. From the instrument panel to the gear selector, everything was placed with intention and care to make your every move more intuitive. Why? To let you focus on what matters most: driving. With the Mazda3, you can enjoy all the conveniences of a compact car without ever compromising cargo space. With both rear seatbacks folded down, Mazda3 5-Door models offer up to a generous 47.1 cubic feet of storage space. And when you have more passengers than gear, every Mazda3 model offers plenty of versatility. Its 60/40 split fold-down rear seatbacks allow you to either fold down both sections for maximum storage or keep one section up, leaving room for a passenger or child safety seat. Exhilaration has always run in the Mazda3 family. And the 2018 Mazda3 continues this legacy. The Mazda3’s already excellent performance and handling amplify the exhilaration with a precisely tuned 4-wheel independent suspension system and your choice of manual or automatic transmission powered by spirited 2.0-liter or 2.5-liter SKYACTIV-G gasoline engines, with the 2.5-liter offering 184 horsepower and 185 lb-ft of torque. Mazda’s newest technology, SKYACTIV-VEHICLE DYNAMICS with G-Vectoring Control, helps you steer more precisely by optimizing load control. Just like an athlete refines his form to hit the ball further with less force, our technology strives for the same efficiency. Instead of strengthening the vehicle’s muscles, we improved how it delivers force so it can unleash its full potential. It works smarter, not harder, to make you feel connected and in control. 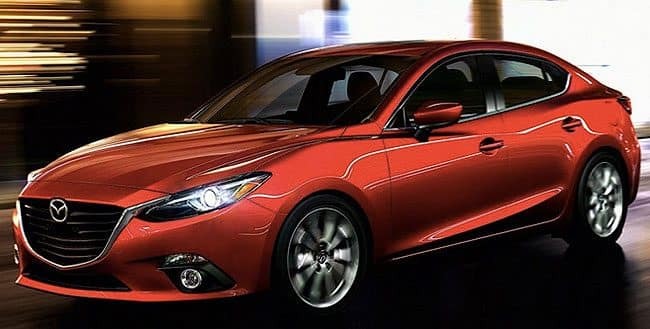 Stop by Island Mazda near Freehold, NJ to test drive the all-new 2018 Mazda3 5-Door. You can also browse our online inventory of Mazda3’s here. We look forward to doing business with you!